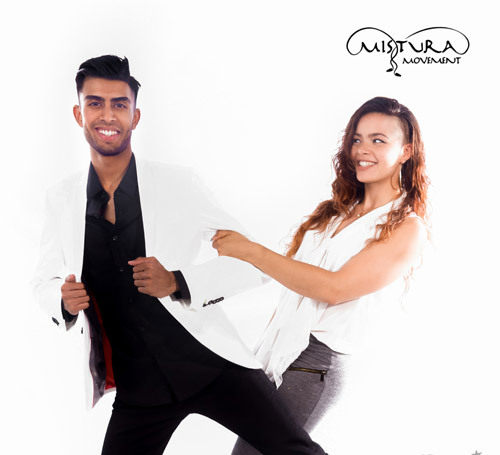 Mistura Movement is a kizomba dance concept based in the Netherlands and lead by Selwin & Jalyssa, one of today’s Holland’s top kizomba couples. The mission of Mistura Movement is to spread their passion for dance and to let people express themselves and enjoy life with each other through dance and music. Their classes have a fun and social atmosphere, are full of new figures, combinations, shines and laughter. They pay special attention to their students dancing technique. There is a lot to learn from them about partnering technique, leading, following, and musicality; with the goal of improving students personally as dancers.